Global Weekend of Racing for AERO Sustainable Paint Technology™. Long Beach, Calif. (13 April 2018) –The Indianapolis 500 is well-established as the largest IndyCar race of the year, but the Toyota Grand Prix of Long Beach is arguably the biggest happening of the season as thousands of fans descend on the oceanside circuit for three days of motorsports action. First staging F5000 and Formula 1 races in the 70’s before racing forward with IndyCar in 1984, this weekend marks the 44th edition of the Long Beach Grand Prix. Headlined by the Verizon IndyCar Series, the weekend has become an established event that attracts movie stars, petrol heads, and those who just love a good party. The petrol heads get their fix from a full roster of racing that includes everything from the sprint intensity of Pirelli World Challenge to the high-tech IMSA Prototypes to the feature show with the IndyCars. No matter what race the fans are watching, it is likely that they will be seeing AERO Sustainable Paint Technology in action. AERO is a technology-driven product that is utilized as an upgrade from traditional paint application or other surface treatments. AERO is light, incredibly strong, and also provides incredible depth of color options. Race fans appreciate the compelling looks that AERO can provide, and the racers love the way that it contributes to performance. AJ Foyt Racing moved to AERO recently, as the impressive newcoming rookie Matheius Leist scored a second row start in St. Pete and experienced teammate Tony Kanaan will look to add to the Foyt legacy of success at the track. The team has a long history at the track and is ambitious to update that with some new hardware. “It’s where I got my first pole-position in INDYCAR back in 1999 and also where AJ Foyt Racing got their last win, and we’ll be working hard to put the No. 14 ABC Supply where it deserves,” said Kanaan. Another advantage that AERO provides is the ability to update the look of a race car quickly to reflect sponsor needs. This weekend, AJ Foyt Racing sponsor ABC Supply Co. will play host to a big client, Letner Roofing of in Orange, California, after the group won the Your Name Here’ contest. The company name will be on the engine cover of the No. 14 ABC Supply Chevrolet. Another IndyCar squad putting AERO to use in support of a large roster of commercial partners is Rahal Letterman Lanigan Racing. This weekend, Rahall will carry the TOTAL colors at Long Beach. Rahal is fourth in the championship heading into the event weekend, but it just might be his teammate Takuma Sato who is the driver to watch. The 2017 Indianapolis 500 race winner has a Long Beach victory on his resume after his commanding run to the win in 2013. Team leader Bobby Rahal will have the advantage of seeing both of his top-flight teams take to the track this weekend with AERO on board as the IMSA WeatherTech SportsCar Championship race will feature the all-conquering GTLM machines that are backed by the might of their respective factories. The all-new BMW M8 impressed in the most recent round at Sebring with a pole position and podium. Connor De Phillippi (USA) and Alexander Sims (GBR) share the #25 BMW M8 GTE at Long Beach. The duo finished second at Sebring along with Bill Auberlen (USA). The veteran will rejoin the team at Watkins Glen (USA) and Road Atlanta (USA) as he focuses on his new role as a BMW NA Brand Ambassador. John Edwards (USA) and Jesse Krohn (FIN) will pilot the #24 BMW M8 GTE. Both De Phillippi and Krohn will have their first taste of the streets of Long Beach this weekend. 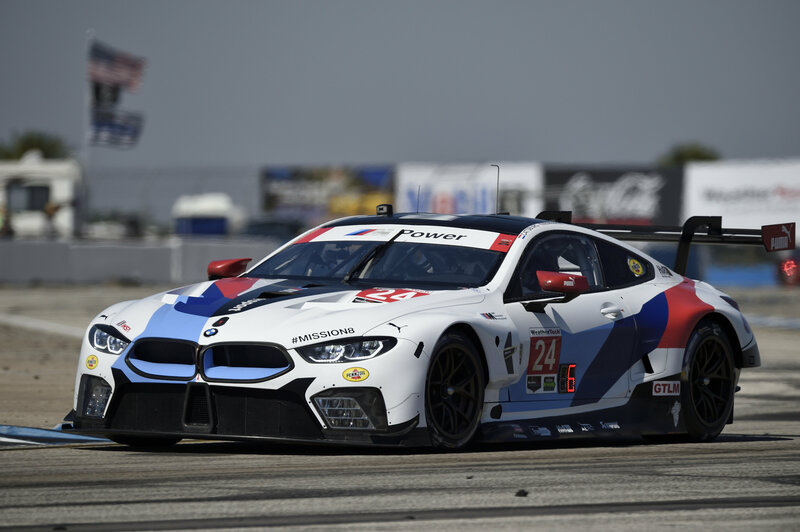 But to take that final top step of the podium, the BMW squad will likely have to usurp the Corvette Racing squad, which brings speed and a lot of experience to the streets of Long Beach. 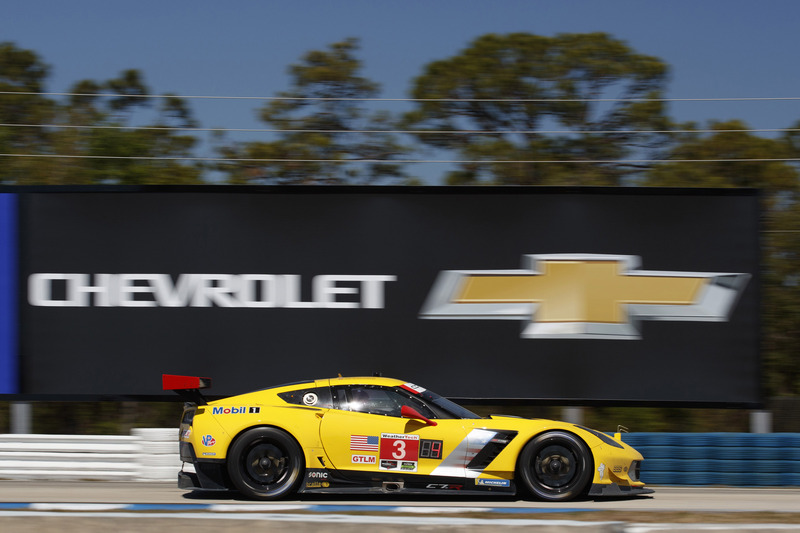 No team in the IMSA paddock has more appearances and victories at Long Beach than Corvette Racing, which has adopted AERO in the pursuit of yet more trophies. The team has claimed six victories in 11 previous tries including a victory last year for Oliver Gavin and Tommy Milner in the No. 4 Mobil 1/SiriusXM Chevrolet Corvette C7.R. But the intense weekend of action in California is only half of the AERO effort for the weekend, as weekend is the first event of the European Le Mans Series season as well as the Michelin Le Mans Cup at Paul Ricard in France. After the Prologue featured unseasonably cold weather, the competitors will be hoping for more traditional southern French climes as the season kicks off. 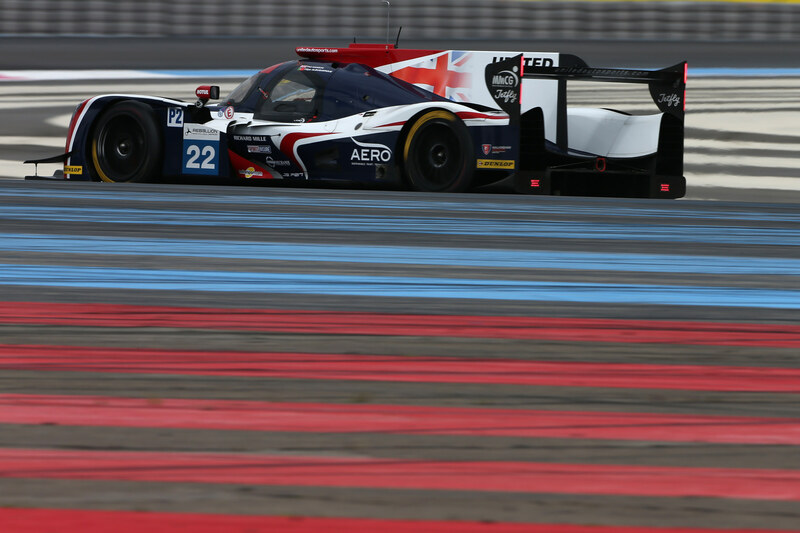 With a strong and growing presence in both the ELMS and Michelin Le Mans Cup, United Autosports has forged a leadership role in the categories and that innovation extends to the early adoption of AERO Sustainable Paint Technology across the fleet of Prototype machines. Will Owen and Hugo de Sadeleer return to United’s LMP2 squad as the team grows to campaign two Ligier JS P217s in 2018, with Will, Hugo and Wayne being joined by Phil Hanson and Filipe Albuquerque in the #22 Ligier JS P217. 2017 ELMS LMP3 Champions John Falb and Sean Rayhall return to the team to defend their run to the 2017 title. The team will also field the No. 3 Ligier LMP3 of Tony Wells, Matt Bell and Garett Grist. With three entries in the Michelin Le Mans Cup, United Autosports is pegged as a championship contender from the drop of the flag. 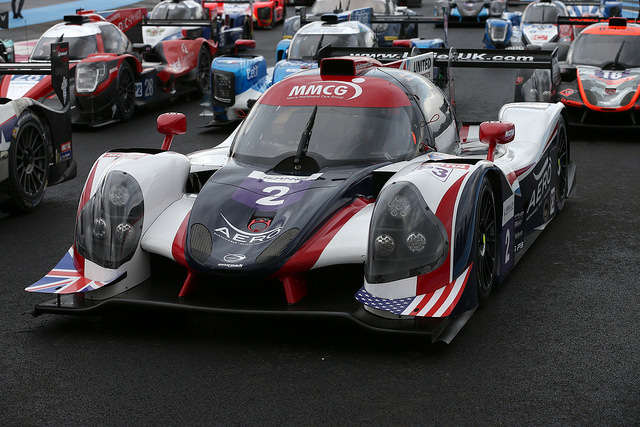 Matt Bell will return to the #22 AERO Ligier JS P3 alongside Jim McGuire as Bell makes his 100th start for the team. Richard Meins also returns to the team in the #23 Gulf Marine liveried Ligier JS P3 to partner with Christian England as the No. 32 Ligier will be shared by Naj Husain and Colin Braun.